Amanda is a part of Beacon Pointe’s Client Service Department and is responsible for partnering with Beacon Pointe’s Private Client Group to deliver clients a personalized service experience. Her duties include execution of operations responsibilities related to portfolio administration, client reporting, relationship onboarding and projects designed to create operational efficiencies. 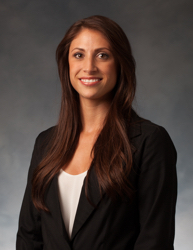 Prior to joining Beacon Pointe in 2013, Amanda attended California State University, Long Beach where she graduated with a BS in Business Administration with an option in Marketing. In her free time, Amanda enjoys water sports, snowboarding, cooking, and spending time with family and friends.